Even though during the last Asian Games in 2014 India secured the eighth position, a lot has changed this year with many new entrants in the list who have performed exceptionally well in the 2016 Rio Olympics and the Commonwealth games this year. The 18th edition of the Asian Games this year will be held from August 18 to September 2 in the twin cities of Jakarta and Palembang in Indonesia. This time, India will be seen competing with 44 nations in 36 sports, and 544 athletes will be a part of the Indian contingent. Amongst the sports where India is participating, athletics has the most number of participants – 51, which is followed by 36 in hockey. In terms of the lowest number, there is only one Indian representative for the sambo martial art. However, sports like badminton and table tennis, which are expected to bring home glory, see 20 and 10 members respectively. Talking of India’s strengths, wrestling has yielded India more medals (56) at the last Asian Games than any other sport barring athletics. Taking it further, a total of 14 Indian wrestlers will be vying for a medal at the 2018 Asian Games. After 12 of the wrestlers won a medal at the 2018 Commonwealth Games in April, the country is expecting to outperform at the Asian Games. Star wrestlers Sakshi Malik and Vinesh Phogat will spearhead the Indian women’s squad. Malik is a bronze medallist from the 2016 Olympic Games and will represent India in the 50kg category while Phogat will compete in the 62kg division. The men’s Indian wrestling contingent will be led by Sushil Kumar (74kg) and Bajrang Punia (65kg). Another hopeful area for India is the javelin throw. Neeraj Chopra is one of the brightest talents to emerge from the Indian contingent and will also be hosting India’s flag at the opening ceremony of the games on August 18. India is also looking very strong when it comes to the game of the soil, kabaddi. India has fielded two strong 12-member Kabaddi squads for the games. Ajay Thakur will not only be leading the whole team but also will be playing the primary role in the raiding unit. Despite a few big names like Gagan Narang missing this time, a 28-member shooting contingent will be participating in the games. Abhishek Verma and Saurabh Chaudhary (air pistol men) and Shivam Shukla (rapid fire pistol) will look to establish themselves this year in the event, along with rising star Anish Bhanwala, who is another shooter at the rapid fire pistol. Experienced Heena Sidhu and Manu Bhaker will represent India in the women’s air pistol. Till the 1980s, India used to consistently be among the top five in the Asian Games. However, with the rise of China and Korea as sporting superpowers, and with the induction of countries like Kazakhstan and Uzbekistan, India slowly lost its position as one of the major sporting nations in Asia. 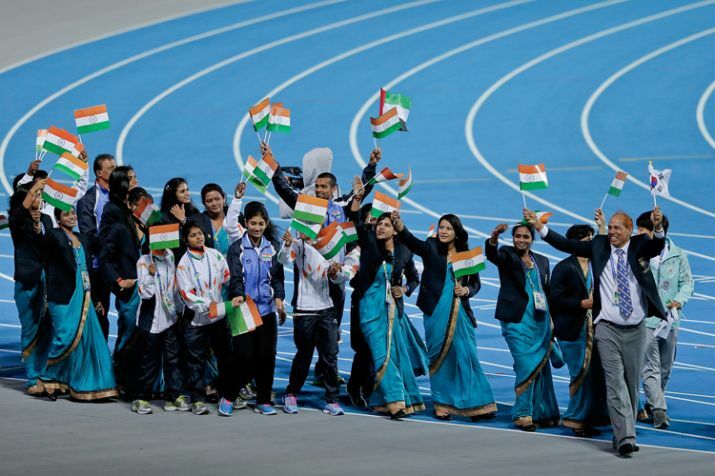 During the last edition of the Asian Games in Incheon (South Korea) in 2014, India managed to secure the eighth position in the medals tally with a total of 57 medals – 11 gold and 10 silver. However, India could not beat countries like Thailand and North Korea, which were ahead in the list with more medals. Like other years, India won’t be participating in some sports this year as well, including baseball, football, jet ski, modern pentathlon, rugby sevens and triathlon.